Yesterday Apple released the second beta of iOS 11.4 with bug fixes and new Wallpaper style (PRODUCT)RED™. In addition, it became known about another interesting feature. 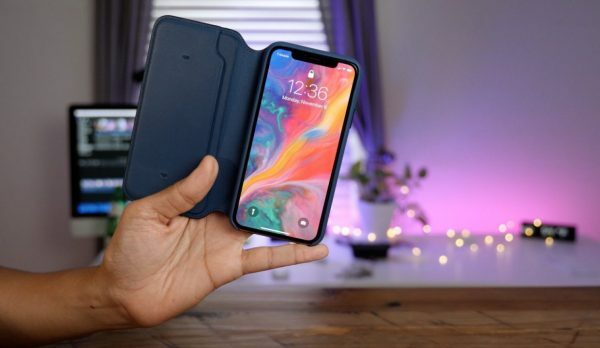 It was exclusive to the iPhone and X branded accessory Folio. Now the screen flagship Apple will be off when you close the cover and light up when opened. In General, do the same thing learned how to do iPad many years ago. iPhone X and iOS understand when you want to enable or turn on the screen due to the magnetic insert Folio. It is unclear whether there will be support for third-party accessories with a similar mechanism, but it is very likely. Apple released iTunes 11.4 Beta 2 to developers, two weeks after the release of the first beta. 11.4 in the iOS Beta 1 came sync email through iCloud and AirPlay support 2. Both of these features were announced at WWDC 2017, almost a year ago, but is still not available to users. In addition to the beta version of iOS, Apple yesterday released a watch OS 4.3.1 beta 2 for the Apple Watch, as well as tvOS 11.4 beta 2 for Apple TV 4 and Apple TV 4K. watchOS started to warn users about the fact that support for legacy applications will disappear with the release of future versions of the system. And tvOS added support for AirPlay 2.